You Are Here: Home > What are the 2018 Jaguar F-PACE Exterior? What are the 2018 Jaguar F-PACE Exterior? With so many different vehicles on the Saddle River roads, it’s hard to stand out. However, Englewood drivers can do just that thanks to the 2018 Jaguar F-PACE exterior, which delivers a style all its own along with vast intimidation and dominance. With improved aerodynamics and all the bells and whistles you could want, the exterior of the new Jaguar F-PACE is definitely one you’ll have a hard time not noticing. Learn more about the impressive F-PACE exterior features below. Most Mahwah drivers may not realize just how important the vehicle’s body style is to the way it handles, but the new Jaguar F-PACE offers a complementary stance on style that helps this vehicle seamlessly maneuver through the Paramus roads. Aside from having a stellar body style, the new Jaguar F-PACE brings incredible features and amenities to the roads with a look all its own. There’s something initially exciting about the 2018 Jaguar F-PACE exterior, and it only gets better and more exciting as you realize the amount of detail that went into this vehicle’s style. 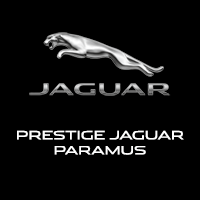 In order to see one up close, be sure to visit Jaguar Paramus, located at 405 NJ-17 in Paramus, NJ to see our inventory. If you want to talk to a team member or learn more about our current vehicle specials, call us today at (844) 336-0190 and our team will be happy to help.